20,000 DCT and more were won at the latest of the Blockchain Pioneers Hackathon Series. 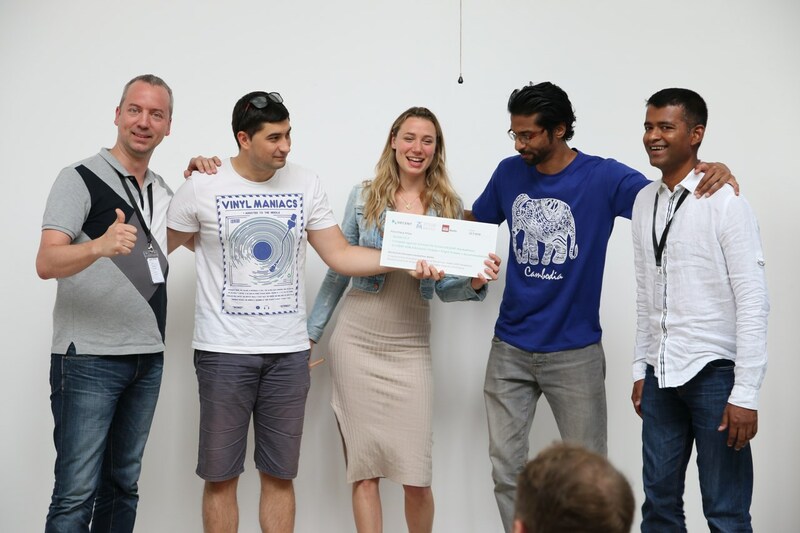 Berlin, Germany, July 23, 2018 – DECENT, the company behind its proprietary blockchain platform, DCore, and creators of the highly successful mobile blockchain app store, ALAX, decided to pick Berlin, Germany as the second destination for its Blockchain Pioneers Hackathon, this time titled Blockchain4Good: Shaping Smart Sustainable Cities for the Future, after the successful May premiere in Bratislava. DECENT chose the capital of Germany, Berlin, which is nowadays known as the hub for blockchain – a young but bright star on the rise in the world of this progressive technology – and such rising technologies need constantly new ideas. The exposure comes in form of hackathons, sprint-like events for IT enthusiasts who compete to come up with the best creative projects. The event lasted two and a half days, from July 20-22. As for the location, DECENT partnered with Impact Hub Berlin, an immense co-working space. Together, they welcomed more than 60 attendees, which was much more than anticipated. For more than 70 hours, 5 teams competed to win 20,000 DCT, a collaboration and mentoring opportunity with DECENT, and a trip to Shanghai to attend an iconic annual blockchain gathering, Shanghai International Blockchain Week, courtesy of DECENT’s new partner, Wanxiang Blockchain Labs. The hackathon hosted a number of captivating talks by subject matter experts, the likes of Thimo V. Schmitt, CEO of Bayer Foundations, and Tobias Oliver Khan from Exetta, on topics concerning improvement and growth of smart cities: Health, Governance, Mobility & Logistics, Energy, and Finance. These topics were also the focal point of the hackathon projects, and throughout the event, competitors received assistance from DECENT’s on-site experts. 1st place: Fashion Block: Transparent tracking of shared fashion garments, e.g. times worn, usage percentage, tracking the process from fashion shows to boutiques. 2nd place: BlockVote: Incentivizing citizen and corporate collaboration by transparent voting. 3rd place: HANAI: Removing the knowledge gap in healthcare. The 1st place winners will also compete in the Blockchain Pioneers Hackathon grand finale, which will also include the winners from the Bratislava and the upcoming Shanghai hackathons, to come up with the ultimate DECENT project.